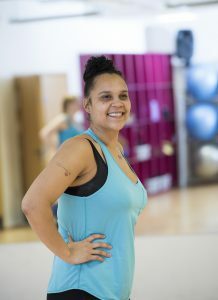 Mina first started going to the gym at John Carroll Leisure Centre when she was 18, with the goal of getting fitter. This was before the centre’s transformation programme, when the gym was in the “tin hut” at the side of the main building. At the time, Mina “paid and played”, attending the gym when she could. But it wasn’t until after the birth of her youngest daughter, five years ago, that she started to take her health and fitness seriously – having realised how much harm she was doing to her body. Post-baby, Mina was an 18–20 dress size, and she decided after just four months to start back at the gym, but soon felt she wasn’t achieving what she wanted to. 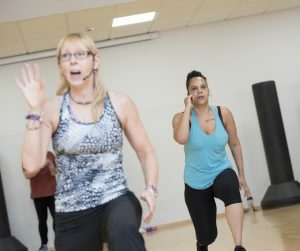 It was on one of her visits that she was introduced to Tina, one of the fitness instructors at John Carroll, who encouraged her to try one of her classes. Mina started to attend Tina’s classes at other leisure centres, trying out Bums, Tums and Thighs and, later, Zumba, which she really enjoys, as it’s aerobic as well as great fun. Mina currently manages two classes every day, fitting it in around school drop-off and pick-up. She tries to eat healthily too, but admits to having good and bad days. 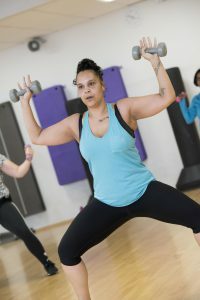 Doing so many classes a week, Mina realised that a Flexible Fitness membership would be the best option for her and she joined three years ago. She now wears size 12–14 clothes and feels great! If, like Mina, you’re looking to push yourself and feel more confident, check out Flexible Fitness today.